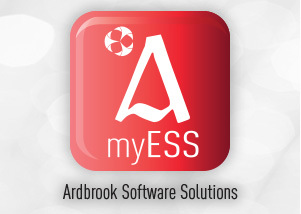 Get all the benefits and functionality of myESS straight to your smartphone. View your latest payslip and all your historical payslips and P60s using our myESS App. Enable employees to access their payslips and P60s for any pay period and tax year using any web enabled device – phone, tablet or PC. No matter what payroll software you use, you should be able to upload payslips to myESS for employees to access securely. If you want to reduce distribution costs, eliminate interruptions and increase flexibility for your employees – myESS is the solution. myESS means employees have secure access to a full history of payslips and P60s over multiple tax years at any time and from any web enabled device. There are significant reductions in payslip and P60 distribution costs to an employer coupled with increased flexibility for employees. myESS retains a full history of all payslips and P60s uploaded to it so employees can access their payslips and P60s from any prior period or tax year without the need to interrupt the Payroll Dept. requesting historical copies. Employees benefit because they have secure and easy access to payslips and P60s. Employers benefit because distribution costs are greatly reduced and requests for payslips and P60s are eliminated. myESS makes payslips and P60s available as HTML pages unlike PDFs which leave a temporary copy on your device so, as soon as you close the page the page disappears completely from your browser so your pay details remain confidential.